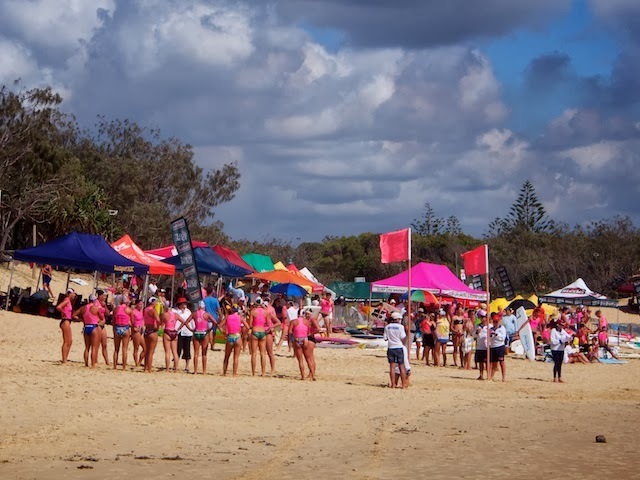 For what it is worth, the clouds didn't bring any rain, but the photo was taken a week or so ago at Dicky Beach during a surf lifesaving competition. The pink tops were not the uniform of a particular girls' team, although in this case they were being worn by females, but are the high visibility vests required to be worn during competition after the sad loss of a couple of lives during competition in years gone by. Sadness aside, it is a rather festive scene don't you think?